Dr. Vandeventer grew up in Warrick County and moved to Jasper his Junior year where he graduated high school in 1997. He received a B.S. in Biology from Indiana University in 2001, and attended dental school at Indiana University School of Dentistry. Dr. Vandeventer graduated from dental school in May of 2005. He is a member of the Select Study Club, the Evansville Chapter of the Seattle Study Club. The study club meets once a month and addresses all aspects, and disciplines of dentistry. Dr. Vandeventer is also a member of Indiana’s First District Dental Society and the American Dental Association. Dr. Vandeventer lives in Newburgh with his wife Tiffany, sons Rhett & Hank and their bulldog Tank. He is an avid outdoorsman and enjoys hunting, fishing and competing in triathlon. Tiffany- Hi, I’m Tiffany! I started working behind the scenes at our office in 2017. I take care of book keeping, payroll and helping to make sure things run smoothly around the office. I love being a support for my husband and the wonderful ladies that we get to work with. I love spending time with my husband and two sons! We enjoy everything outdoors, traveling to the mountains and the beach and just spending time together. I also enjoy gardening and admiring all of the wildlife around our house, especially the hummingbirds that visit our flowers and feeders that I have for them. It always makes me smile when I run into someone in our community and they tell me that they are a patient at our office and how much they love everyone here. You are always in good hands at our office. Susan (Dental Hygienist) – Hi! My name is Susan! I have been a licensed dental hygienist for 38 years and have been with Dr. Vandeventer since 2005. I love developing relationships with my patients and their families. I am married and have three children and five grandchildren. I love to travel, snow ski, ride motorcycles, water ski and mountain bike. Our practice looks forward to meeting you! Helen (Receptionist & Dental Assistant) – Hi, I am Helen. I have been a Dental Professional for 35 years as both a Dental Assisstant and a Receptionist. I joined Dr. Vandeventer’s practice in 2006. I enjoy getting to know patients and getting to help take care of their dental health. Outside of the office, I enjoy being with my family, being outdoors, camping and gardening. I look forward to getting to know you! Shantay (Receptionist) – Hi! My name is Shantay and I have been with Dr. Vandeventer since July of 2017. I love working as a receptionist where I get to interact with our patients daily. I’ve been married for 25 years and have two sons, a daughter and a sweet granddaughter. Martha (Dental Hygienist) – Hello! I’m Martha. I attended the University of Tennessee and graduated with a Bachelor of Science in Dental Hygiene from the University of Southern Indiana. 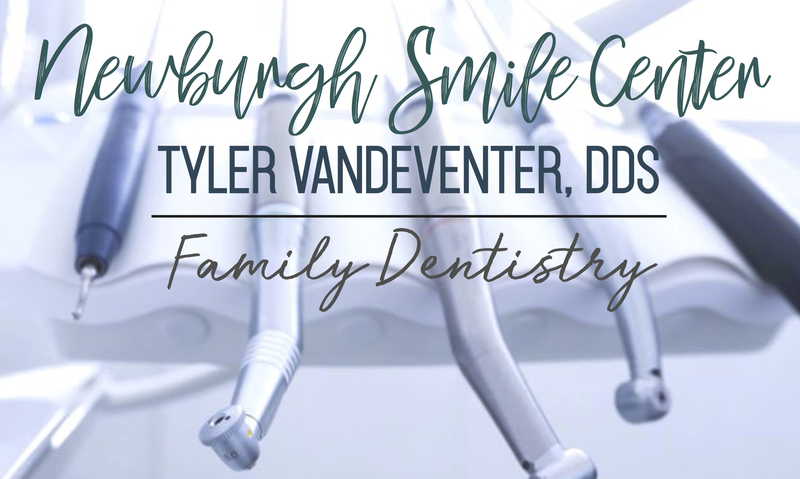 I have been a hygienist for 39 years, and have been with Dr. Vandeventer since 2017. I truly enjoy working with adults and children of all ages. My husband and I have three grown children. I love to spend time with my two beautiful granddaughters, run and swim and have a goal to run a marathon in all 50 states! July of 2018 will make #33 in the state of Oregon! I found my happy home at Dr. Vandeventer’s office along with his wonderful staff. I look forward to meeting all of his patients. Michelle (Receptionist) – Hello, I’m Michelle. I have been in the dental field for over 30 years and have worked at Newburgh Smile Center since 2004. I love working at the front desk because I love interacting with the patients. Have been married for 33 years and have two sons and a daughter. I love spending time with my family and enjoy being poolside with a book! I love the atmosphere of our office and our staff, I know you will too! Karen (Dental Hygienist) – Hello, I’m Karen. I attended Southern Indiana University- Carbondale. I have been a dental hygienist for 38 years and 23 of those have been here! I like to see what’s happening with the patients that I see; their families, travel, retirements, etc. I love working with Dr. Vandeventer and our staff, we’re like family. I have a son and a dog that thinks he’s my child! I love doing projects around the house and baking. I can’t wait to meet you! Angie (Office Manager) – Hey guys, I’m Angie! I have been in the dental field for 25 years and have been with Dr. Vandeventer since 2010. I LOVE that I get to work with such an amazing doctor and team that are not only coworkers, but friends! I enjoy spending quality time with my husband, son and daughter-in-law. I also love cheering on the Kentucky Wildcats. Come see why I love that our team truly cares about each other and our patients! Lee Anne (Dental Assistant) – Hello, I’m Lee Anne. I graduated from Indiana University of Southern Indiana in 1976 with a certificate in Dental Assisting. I’ve been an assistant for 42 years, 23 of which have been at our office. I enjoy working with patients of all ages and getting to know them. I’ve been married for 36 years and my two children all grown up. I love reading, hiking, and traveling. Welcome to our office! Janelle (Dental Assistant) – Welcome! I’m Janelle! I attended the Indiana State University of Evansville (now known as USI), where I became certified as a Dental Assistant. My husband of 33 years and I have a son and a daughter. I enjoy spending my free time sewing. In my 26 years at Newburgh Smile Center, I have grown to love the reaction of patients to their new smiles and I can’t wait to see how much you love yours! Sherry (Dental Hygienist) – Hi! My name is Sherry. I graduated from University of Southern Indiana and I have been a hygienist for our office for 29 years. I enjoy building relationships with patients of all ages and love that I have gotten to see some of our patients grow from young children to adults that now have families that they share with our office! My husband and I have been married for 31 years. We have a son, a daughter and a sweet granddaughter. My favorite hobbies are gardening, reading and spending time with horses. We are excited to have you as a part of our family!